Editor Javy Gwaltney talks about choice and trauma in the Dishonored series. The HBO television series Westworld explores advanced A.I. in a Wild West theme park, allowing guests to live out their wildest fantasies – whether it’s settling down with a farm girl or robbing a bank and riding off into the sunset. The A.I. is so lifelike you would have a hard time distinguishing who is real or synthetic. – and viewers are left wondering what that distinction truly means. Westworld’s showrunners draw inspiration for their realistic beings from video games with BioShock, Red Dead Redemption, and The Elder Scrolls V: Skyrim being mentioned as influences. What if Westworld went full circle and was adapted into a video game? Advanced A.I. would obviously have to be a showpiece. Could a game deliver an experience worthy of the show’s title? Reiner and I delve deeper. Jeff: Before we get into this, you’re all caught up on the show, right? Watch our exclusive video interview to learn how Mass Effect's gameplay is evolving and taking cues from games like Overwatch and Destiny. This year on Game Informer's weekly podcast, we debuted a new feature called GI Game Club where we play through specific games and talk about them in exquisite detail alongside our wonderful community. 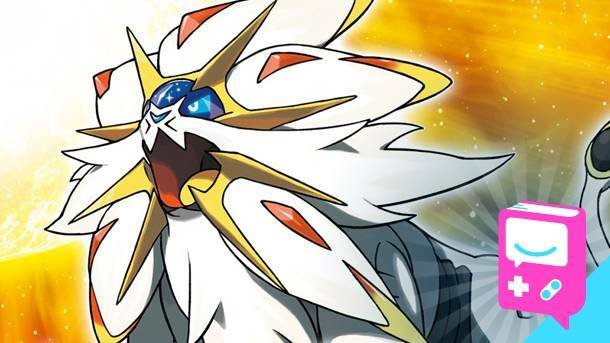 Next up we're talking about Game Freak's Pokémon Sun and Moon. The game is released on the Nintendo 3DS on November 18th, the first chapter of the two-part Game Club will air on The Game Informer Show on December 1st. If you'd like to join in on the fun, please play the game and stop after you finish the fourth trial on the second island. Then send your poignant thoughts to podcast@gameinformer.com. We're looking forward to reading your emails on the podcast, so send in your thoughts on the game's story, new Pokémon to catch, Alola region, and the gameplay changes from previous installments. Whatever you'd like! The strange/funny/small notes are always welcome! Feel free to subscribe to The GI Show on iTunes or Google Play, and if you're curious about what we've covered in the past, you can click through to watch our discussions for Final Fantasy VII, Uncharted 4: A Thief's End, Deus Ex: Human Revolution, and the original BioShock. 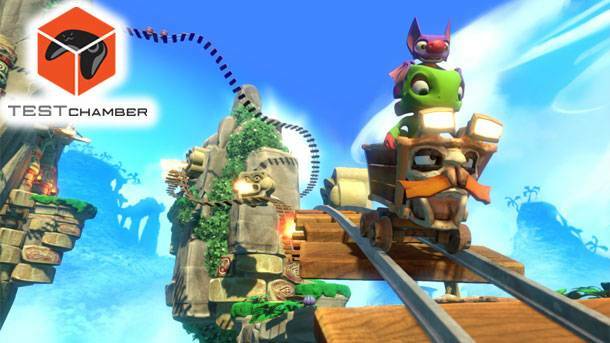 We recently got a chance to play Yooka-Laylee for an extended period of time, and wanted to share some of my impressions. Intern Michael Leri and I got to play around in one of the game's early levels, Tribalstack Tropics, for about an hour, and while we weren't able to record our own gameplay, developer Playtonic did pass along some gameplay footage showing off the level. You can see the level in action below, and hear Michael and I's impressions and explanations about the game's mechanics and collectibles. For more gameplay from Yooka-Laylee, check out our previous Test Chamber video covering the Toybox, which was basically an unfinished level, here. 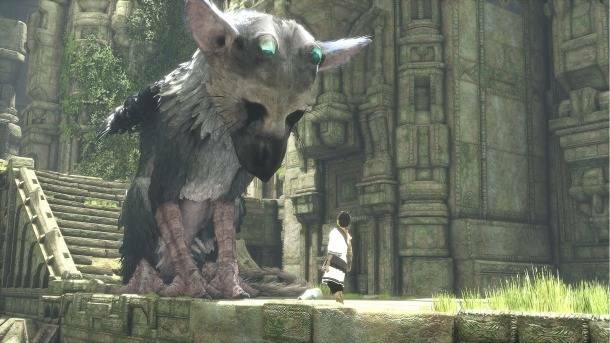 The Last Guardian's delays have almost always eclipsed the game itself. But it is indeed a real PlayStation 4 game now, created over many years by many people. Takeshi Furukawa was one of those people. He's The Last Guardian's composer and the conductor for the game's orchestrated score. Furukawa composed music for television shows such as Star Wars: The Clone Wars, Star Trek: Enterprise, and more. We recently had a chat with Furukawa via email where he gave us his impressions of Team Ico's past work, when he joined The Last Guardian, and some of the philosophies behind composing the game's score, which you can pre-order on vinyl here.